The opening race on Irish Gold Cup day is the Irish Stallion Farms EBF Paddy Mullins Mares Handicap Hurdle and Court Maid has established herself as a very versatile individual when it comes to the trip. Three wins in a row all over different distances, she tries herself over 2m2f this time and has proved very hard to get by this season. Winning a bumper at the Galway Festival, she was just touched off on her first start over timber at Listowel but frankly been on a roll since. Another step in the right direction needed. Two starts ago, Sir Erec was just two lengths down on Stradivarius in the QIPCO British Champions Long Distance Cup at Ascot for trainer Aiden O'Brien, yet now he looks to be amongst the best juveniles around when it comes to hurdling. Now with son Joseph, Sir Erec showed a great attitude on stable debut when beating Tiger Tap Tap here after Christmas, and faces a fascinating rematch against the latter in the Grade One Spring Juvenile Hurdle. Very likeable type, could and should be more to come. 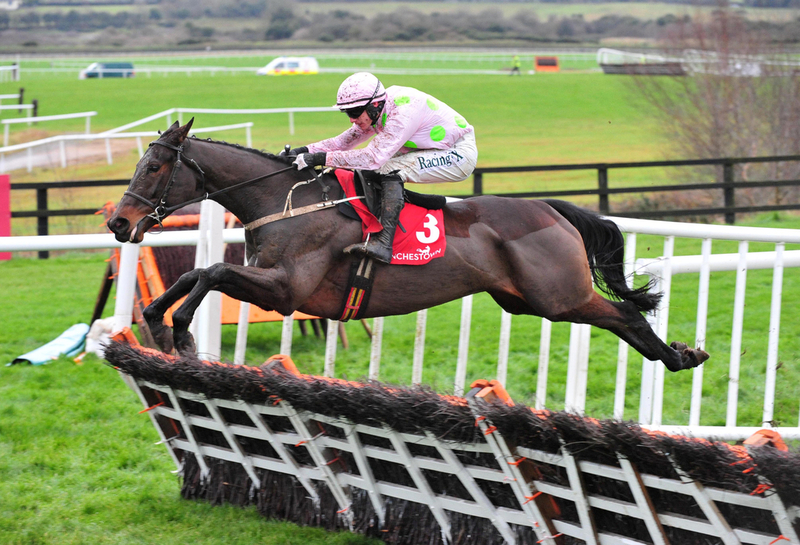 Next up is the Grade One Chanelle Pharma Novice Hurdle and we are stuck between the Mullins duo of Aramon and Prince D’aubrelle so we are tipping both. Aramon won his maiden hurdle on his first start for Willie Mullins, having been a useful horse on the flat in his German days for Markus Klug. Made a successful jump up to a Grade Three in November when beating Magnium and stable companion Quick Grabim, but something clearly a miss when the latter reversed the form in a first time Grade One. Can only be put that down as an off day, and has since landed the Future Champions Novice Hurdle over the course and distance over Christmas. If on top form, looks a serious contender and will be in the hunt for another win. Meanwhile, the 9yo Prince D'aubrelle made a winning return to the race scene on his first ever start over hurdles, having been off the track for over thirty months. A very smart horse for Mullins in bumpers, this chestnut held plenty of ability and finally got his chance to prove his promise - hopefully now he can stay injury free to build on. Dallas Dec Pictons sports the first colours of Gigginstown in the William Fry Handicap Hurdle contest over three miles. A useful credential in France, he came good in impressive fashion in a 2m4f maiden last time out at Punchestown just two weeks ago, and will be expected to build on that effort. Was staying on well and easily that day and willl relish the step-up to three. Delta Work will look to consolidate his Cheltenham Festival claims with another victory - this time in the Flogas Novices Chase. Three in a row since going down the chasing route - two of which in the top Grade One level. Last year's Pertemps winnner represents the best of Ireland, and comes up against his first British challenger in Kauto Star successor La Bague Au Roi who is 7lb better off. Could give us an indication on where he ranks with Nicky Henderson's Santini, but Delta Work should be too good here. The big one - the Irish Gold Cup takes centre stage just after half past three, and after much discussion and debate, we have elected to go with Willie Mullins and the Graham and Andrea Wylie owned Bellshill. Fourth in last season's Irish Grand National, a route towards the English equivalent beckons after this contest, which he can use to booster his overall sharpness. You know he stays well, so can set a strong pace from the front end and attempt to see them off one by one. Still ran a creditable fourth behind stablemate Kemboy in the Savills Chase and must have a chance on that front. Another tricky looking encounter, so again we have selected two: both Cadmium and Cubomania representing different yards in the Abbey International Leopardstown Handicap Chase. Cadmium is one of two in the race for Willie Mullins, who finished a creditable enough fourth behind Delta Work - with Arkle fancy Le Richebourg back in second, form that can be franked even before this race kicks off. Has good form in other graded affairs and deserves a win for those efforts - may find brighter luck here. As for Cubomania, he began the season with four trips to Scotland, and came home with four wins, before taking a valuable Class Two at Cheltenham in October. Couple of good placed efforts back on home soils since and in pitching solid claims here which means he must have a chance. The final race is the Grade Two Coolmore N.H Sires Irish EBF Mares National Hunt Flat Race, and Santa Rossa can carve her way through the snow in a different sort of format. A winner on her racecourse debut for Dermot McLoughlin at Fairyhouse in December, this 5yo holds a serious chance of making it two from two. Well related to several winner including Carlos - who won over hurdles at this distance, so hopefully lots to come in the future.